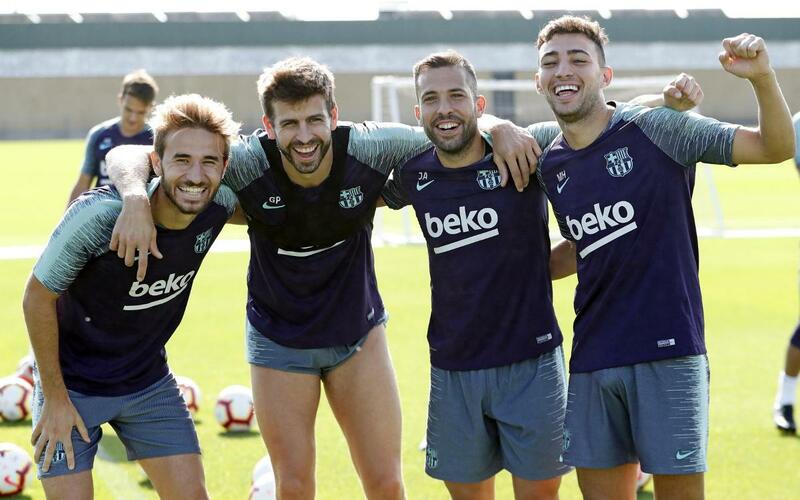 The FC Barcelona players not on international duty this week took part in a training session on Thursday morning, given a workout on Pitch 2 at the Ciutat Esportiva. The exception was Carles Aleña, who trained with the Barça B squad. A brief break is set for the coming days, as the players are given time off before returning to action on Tuesday at 11am. Following the rest period, the team face a hectic schedule of 7 games in the space of 20 days. International activity kicks off on Thursday for the Barça stars, as Sergio Busquets is set to feature for Spain against Wales in Cardiff, and Ousmane Dembélé will take on Iceland with France.